Picking Amara up from school with her Mom often leads to some fun conversations. Remember I told you she had joined the Undertale Club? Undertale is a video game she plays. Well, one afternoon when we picked her up she started talking about Undertale and the legendary Butterscotch Cinnamon Pie. To which I said, “Huh?” Amara patiently explained that in the beginning of the game you always get a piece of Butterscotch Cinnamon Pie and that she had just watched a video where they made the pie. This pie sounded interesting and I am always looking for fun things we can do together so I asked her if she wanted to make the pie. Of course she did! I asked her to send me the link so that I could make sure that I had everything we needed for her to make the pie on her next sleepover. I watched the video and I have to say this pie was not the easiest recipe but I thought she could handle it. I had everything we needed to make the pie except for one of the key ingredients – Butterscotch Schnapps. This sent Jenna and I on quite the adventure! Santa Ana does not have a lot of real liquor stores. We tried 2 liquor stores and 3 different markets with no luck. 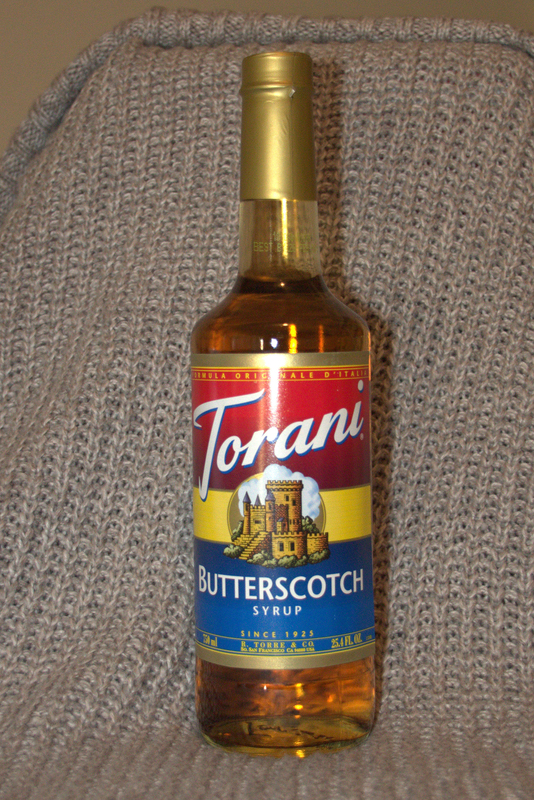 So I broke down and ordered a bottle of butterscotch flavoring from Amazon. The only small bottles they had wouldn’t be here for a week so I ended up ordering this huge bottle of butterscotch flavoring that would arrive in 2 days. It wasn’t what I wanted to use because it wasn’t true to the recipe but it would be better than nothing. Then we found the 3rd liquor store! It was the one! They had the little bottles like you get on the airplane. I had already discussed with Amara that if the pie turned out tasty we would make it again for Thanksgiving so I was going to get 2 of the little bottles but if you bought 2 for $5 you got the third free! Somehow I had it in my head that each pie would need 2 tablespoons so one bottle would make one pie, right? I was so excited that we had gotten it until I got home that evening and couldn’t find it! Where the heck did I put it? Jenna didn’t have it and we both looked under my car seats and everywhere else trying to find it. 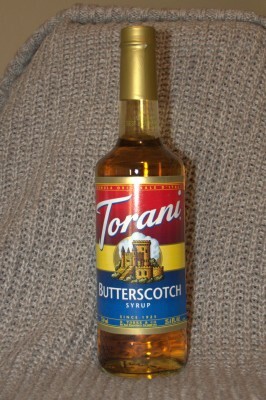 The gigantic bottle of butterscotch flavoring arrived the next day but now it really wasn’t what I wanted to use! So we went back to the liquor store – in case I set it down on the counter and walked out. I hadn’t so… fortunately he had 3 more bottles I could buy. I felt like such an idiot – what the heck had I done with it? Of course I woke up the next day vividly remembering having stuck the little bag down next to the emergency brake. And there it was! All of this and the recipe actually called for 1 teaspoon in the whipping cream! Amara spent the night last Saturday night. We ate pizza and watched Ghostbusters 2016 which was much better that the critics had said it would be. We enjoyed it. We went off to bed dreaming of Butterscotch Cinnamon Pie. Amara woke up early Sunday morning so that we could start. The plan was to make the pie and then have it when Mom and Dad came to pick her up around noon. We weren’t having breakfast. We weren’t having lunch. We were having pie! Amara did a wonderful job! She braided the pie crust; she browned the butter and she made the filling. Grandma just kept her company and did the dishes as she worked. Oh, I did teach her to make cinnamon rollups with the left over pie crust! When the pie was out of the oven it had to cool for 30 minutes before going into the fridge to cool for 30 more. 30 minutes is the perfect amount of time to take a Pokey walk with Grandma! I never seem to get all my steps in on the weekends so our walk had 2 purposes – gem and step collecting! We went and visited the new park on the corner and complained that it wasn’t there when she was little! We would have been regulars there. Also just want to mention there were no swings. Most of the parks no longer have swings and it just saddens me. So glad we had a swing set in the backyard while Amara was growing up. We got home and moved the pie to the fridge and started on the fresh whipped cream. You forget how truly delicious the real stuff is and this was flavored with cinnamon, powdered sugar and the Schnapps. Yum! We put it in the fridge with the pie and waited for Mom and Dad to arrive. Amara cut and served her pie – I added the whipped cream for her. It was delicious! We all agreed it wasn’t quite chilled enough but we didn’t care it was yummy and we will definitely make it for Thanksgiving. 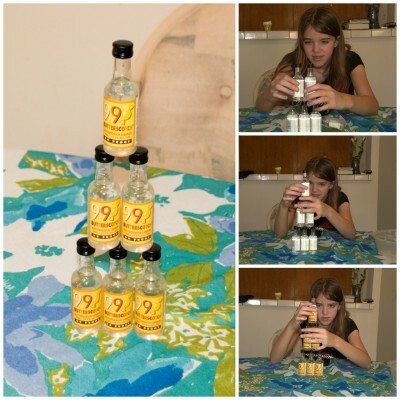 Now the question is what am I going to do with the rest of that Butterscotch Schnapps? Each one of those little bottles has 10 teaspoons in them! Not to mention that giant bottle of butterscotch flavoring! This memory was posted in Indoor Fun and tagged Amara, baking, Butterscotch Cinnamon Pie, Butterscotch Schnapps on October 21, 2016 by Grandma Kc. You three ladies are very creative and resourceful so I have no doubt you will come up with additional recipes to use your flavoring! The recipe sounds – and looks! – wonderful! I had my own disaster in the form of a microwave oven that abruptly stopped working just before I needed to melt white chocolate for dipping my “Boo-Nanas” for our family Halloween event! BOOOOO! Do you sometimes wonder how we got along before microwaves? It is almost as bad as when they internet goes down! I want some Boo-Nanas! Haha! I hope you really like butterscotch! Maybe you can return to Amazon? I think Amara and I just need to go on a mission to make all things butterscotch! Of course that might mean I have to increase the days at the gym! I wish this pie had a bit more of a butterscotch flavor to it but it sure was good! I like your idea of putting a bit of the Schnapps into my coffee. I’ve been thinking I needed to make some more of the whipped cream as I had only used one cup and I have one left in the fridge. Add that whipped cream to my coffee and it would be extra yummy! It was delicious – however – it didn’t have time to chill properly, and since it was taken from me, physically removed from my location, after only one really small piece I’ll never know how it should taste. Poor Grampy! You will just have to wait until Thanksgiving for Amara and I to make you another one and that one you can keep at home and eat all the leftovers! Ha ha what an adventure for butter scotch! Although I have to say I’ve been in a similar position ???? The pie looks and sounds amazing! I may need to look into that for Thanksgiving! Have any butterscotch flavoring I can borrow?! No seriously you could make coffee drinks or hot chocolate with the flavoring?! Adventures in butterscotch – it could be a whole new series of blog posts! You really should try this pie for Thanksgiving, I am definitely making it again. It is a lot of work and my biggest complaint was that it took 3 sauce pans and 2 or 3 bowls. I lost count! And coffee drinks for sure! It will be perfect for our Thirsty Thursdays with the moms from Santiago and OCSA. I buy hazelnut flavoring from that same brand to make latte’s at home. Butterscotch would be really yummy! I think you could add that to puddings, or regular coffee, maybe some cookie recipes or some kind of candy. I don’t think it will go to waste! One of you will come up with a use for it!! Grampy is so glad you are taking his side. I have however promised him that Amara and I will make another one for Thanksgiving and he gets ALL the leftovers! You need to make this pie! According to Grampy we didn’t get to eat enough of the first one as I let made the kids take Amara’s pie home with them. I even sent the whipped cream! I have warned everyone that we’re going to be eating a lot of butterscotch! LOL this was just too funny!! What to do with the rest? SHOTS! 🙂 I remember in my younger days, out at a bar or at parties, and I just couldn’t handle whiskey or tequila, etc. The only ‘hard liquor’ that I liked the taste of was rum with coke. Deb – this stuff is strong! I think I’ve gotten to old for shots! When I was growing up the only thing I knew how to order in the bar was rum & coke. I can’t stand rum anymore! I love this story–and the pie sounds delicious! Butterscotch and cinnamon. Yummy! Shucks, I’ve realized I’m super hungry. Reading this made me crave! Oh my gosh! I have never heard of such a pie and some of the ingredients..what a great experience. I cannot make pies. My mother made the most beautiful ones but she did not pass this on to me. Look at how Amara is doing that crust like it is nothing! What a wonderful thought you had to make the pie and such another wonderful memory for Amara. 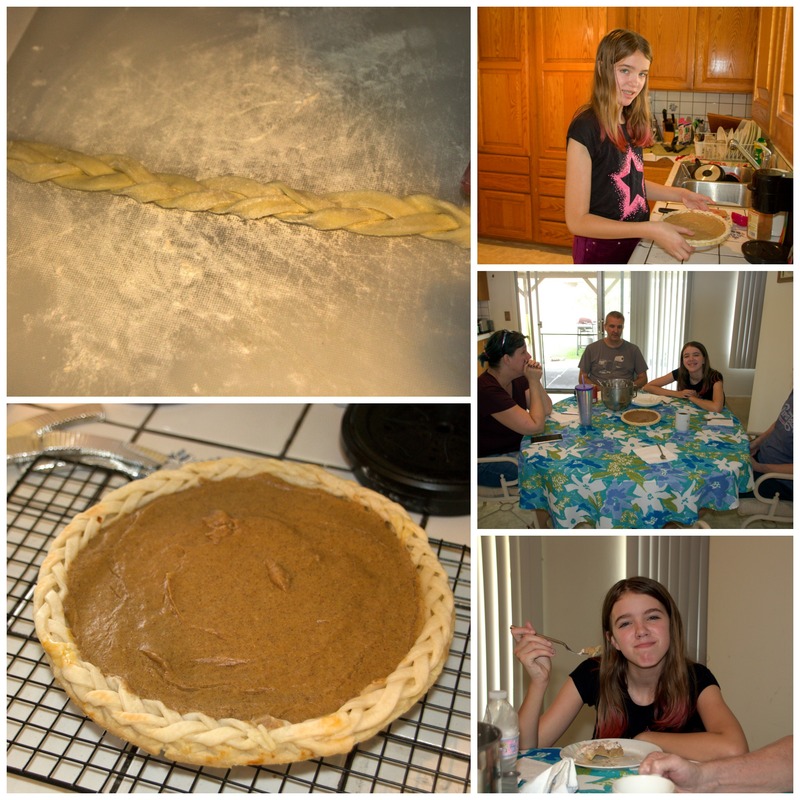 I was really proud of her and how good she did with the crust and the entire pie. She really is fun to have in the kitchen and I get to hear all about everything while we do it! Yummy and fun. I too would add that flavor to my coffee, perhaps in a milkshake? Don’t even get me started about no swings. Sad is right! Butterscotch milkshakes! I hadn’t even thought of that idea and I know one Grampy who loves his ice cream! Since I gave up caffeine I don’t usually think to have coffee in the evening but I may just make some decaf on these cooler nights and try some Schnapps in it! Might even need to make some whipped cream to top it with! Wow, she did an excellent job. I’m still laughing about you setting the bag on the floor beside the brake. How could you drive with something that close to your foot, lol. Please ask Amara to do a post on how to make the pie crust before Thanksgiving. Making pie crust is a skill that I lack. Great job. I should have explained better that I set the bag on the floor of the emergency break console – the other way I would have found it sooner! Amara and I cheat and buy frozen pie crusts because I can not make pie crust to save my life so I sure can’t teach her! But I love how she braided the crust for around the edge. It sounds like you and Amara have so much fun together. That is wonderful; such a blessing! I had to laugh about forgetting where you put the Butterscotch Schnapps bottles. I do the same thing all the time! In fact, I drive myself nuts! Now you just have to come up with many more recipes that require butterscotch flavoring! I know one grandma who could be rather happy after a few swigs of butterscotch schnopps! You’re going to be making lots of pies, I guess! This reminds me of my wedding reception. The punch recipe called for almond extract. Somehow my mom misjudged just how much almond extract was required, and she had bottle of it left over. She gave me a bottle or two, and I used it for years before it was gone! Hi Grandma Kc. I loved this post! Just came across your blog after seeing your comment on another blog. Do you do linkup parties? If so, we’d love to have you join us at http://grammysgrid.com/blogging-grandmothers-link-party-6/ and as well to join our Facebook group at https://www.facebook.com/groups/1045124028915511/ . Also, loved reading about how your AmaraLand site came to be 🙂 There’s nothing like grandbabies, huh?